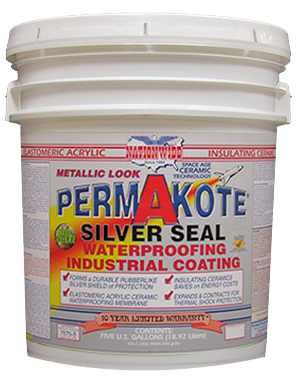 PERMAKOTE® SILVER SEAL is an ELASTOMERIC acrylic waterproofing, ceramic filled, metallic look, protective industrial coating designed for most any interior or exterior surface or substrate and can be used on most sloped roofs. 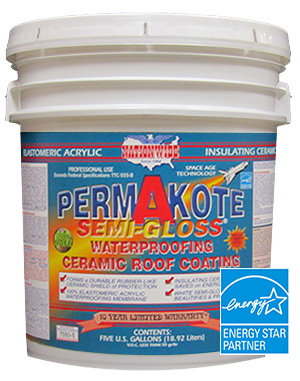 Excellent waterproofing, insulating and reflecting properties with a beautiful metallic look matte, satin or semi-gloss finish. It forms a durable rubber-like metallic shield of protection that expands and contracts with varying hot and cold temperatures, plus excellent resistance to thermal shock. 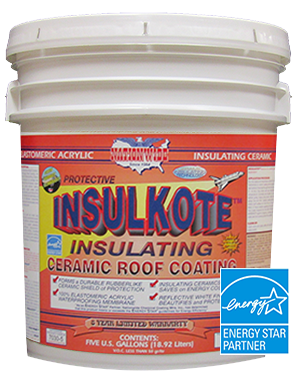 An energy saving reflective industrial coating that offers superior mildew resistance, ceramic insulation & soundproofing, excellent adhesion and U.V. Ray reflectivity. 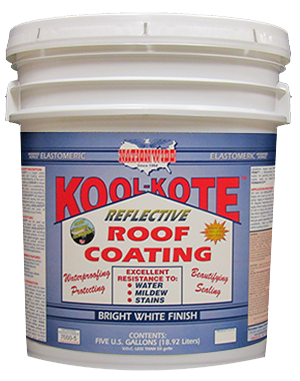 It is an inexpensive solution to metal replacement and renovation. 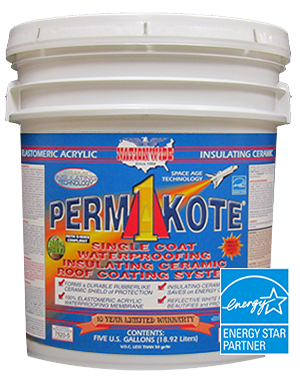 Must be used with PERMABOND™ or METAL-PRIME RED-OX™ for 10 Year Warranty.